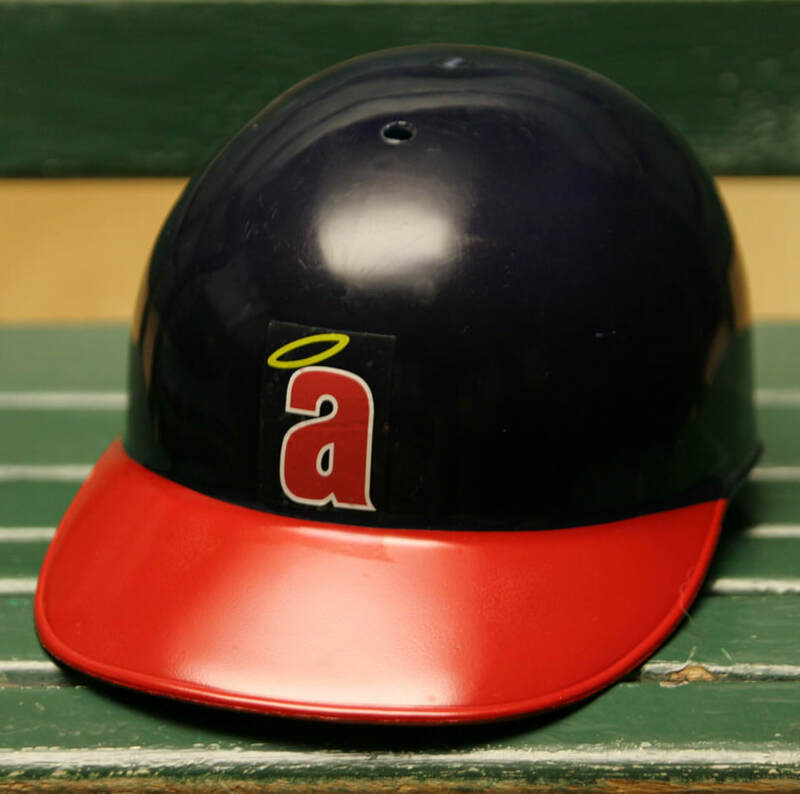 Have you ever wondered what the helmet that the players never wore might look like. 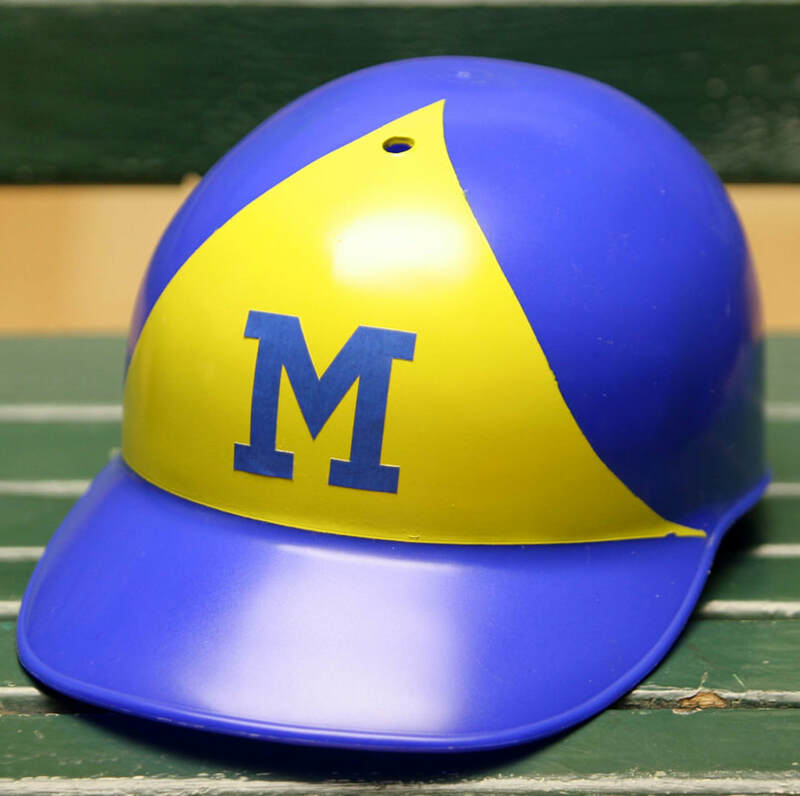 I'm not talking about helmet designs that never existed, but I'm talking about the helmets of the alternate caps that players wore back then and today. 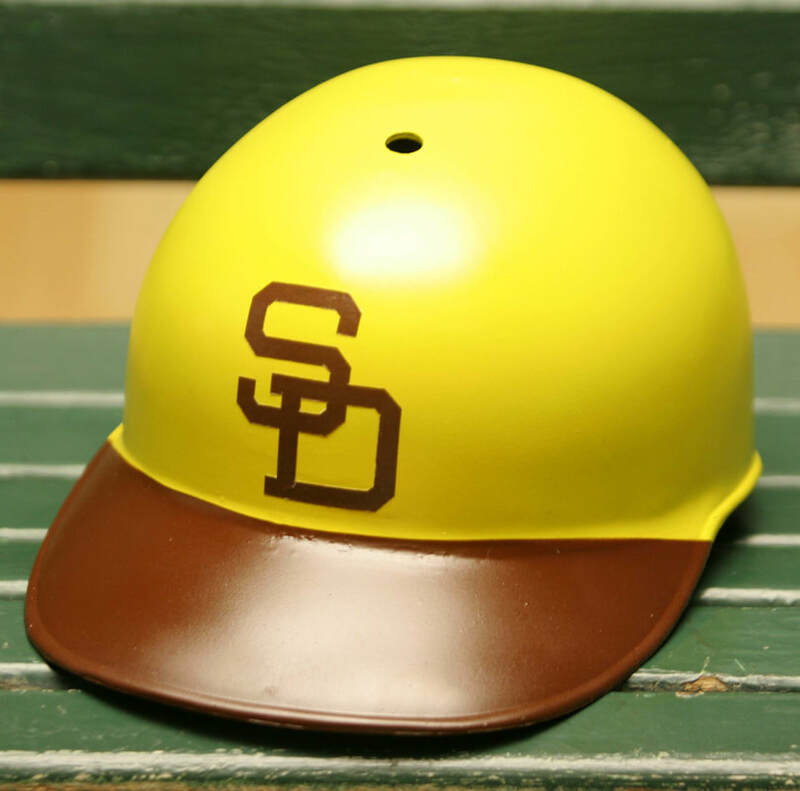 What about those helmets that did exist, but were never turned into souvenir helmets? Yeah, now that is my question. Well, this is the page that is going to try and bring those helmets to life as the summer progresses. The really cool thing is that I believe some of the early 1960's helmets are out there somewhere, but I just haven't found them yet. Only time will tell what I can find and what I will be able to develop and actually make look real. I have a feeling that some of these are going to be very challenging. After getting some publicity from Paul Lukas and the now defunct ESPN Page 2 website, I had a lot of people write to me asking or commenting about my site. 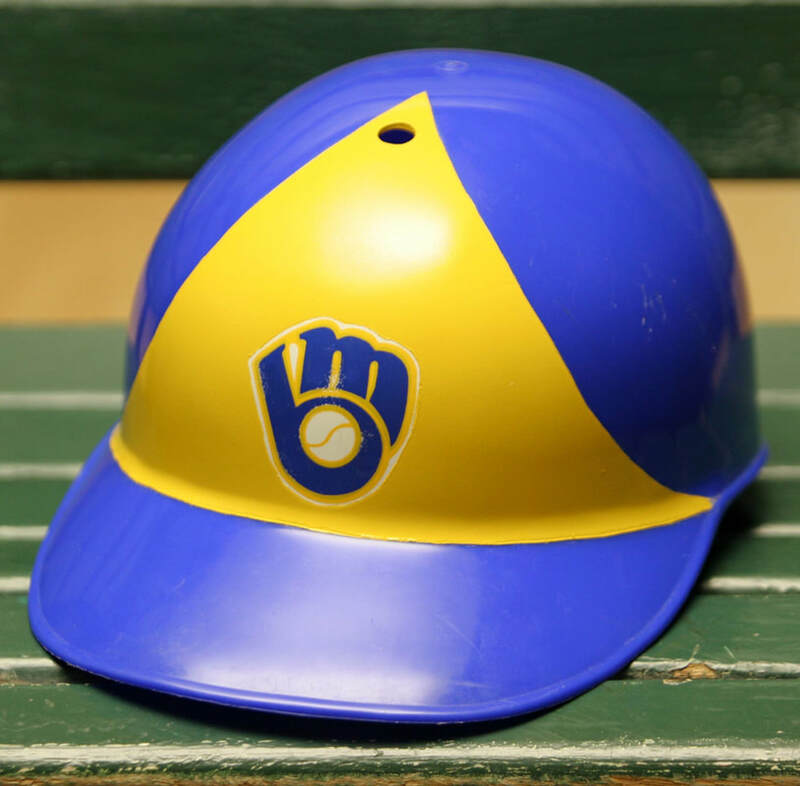 One of those, Chris Geis, asked if I had ever seen a helmet of the hat seen at right. I had never seen one of those but my curiosity had been struck again. Could I make one of my helmets into a semi-exact replica of that hat? After seeing all of the mini-gumball helmets a few years back that Bill Jones of the VHM Club had made, I thought that maybe I should give this a try. What's the worst I could do. . . waste a couple of bucks on some spray paint and destroy a few extra helmets? So, I went to Wal-Mart, found some paint that somewhat matched the orange of the Orioles, and went to work. After trial and error I eventually came up with the helmet seen to the top left down below and I must say that I was pleasantly surprised as to how well it turned out. Now, of course, I knew the biggest problem was getting the paint to stick and that is still, and will be, a problem. I've tried the new paint that supposedly sticks to plastic and I can say it didn't work at all for me. Plus, the biggest problem with that paint would be the price and the lack of color selection out there so I guess I will just have to be extremely careful with the helmets when they are done because they will certainly scratch easily. The helmets shown below were all made by me. I'm proud of some of them, and others are just blah. 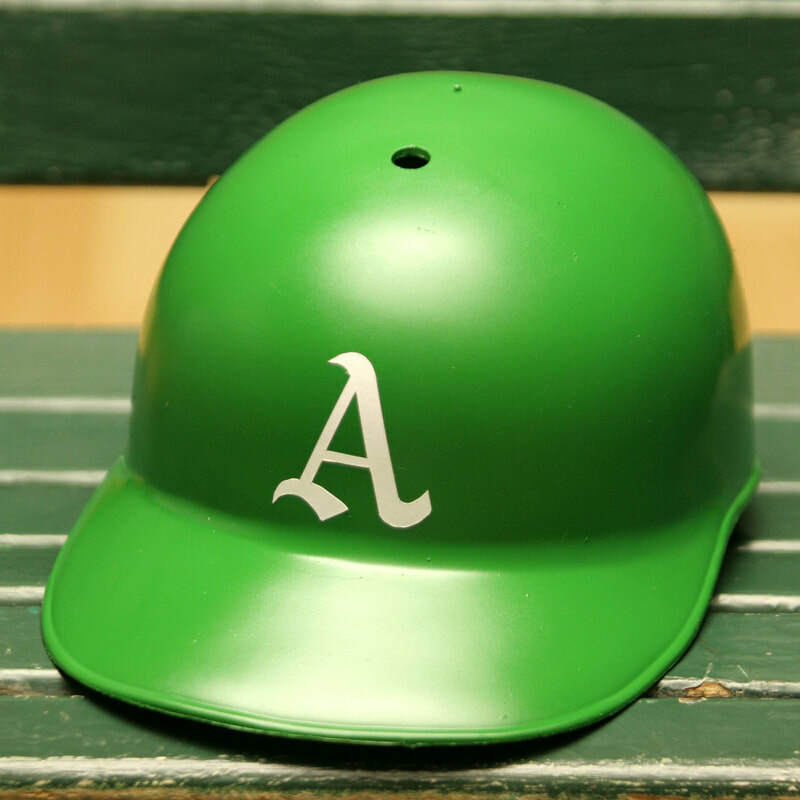 It should also be noted that since making these helmets (many, many moons ago) I have recently discovered some of the real ones, and also, all of the helmets listed below actually had a hat that was worn by that team at one time or another. 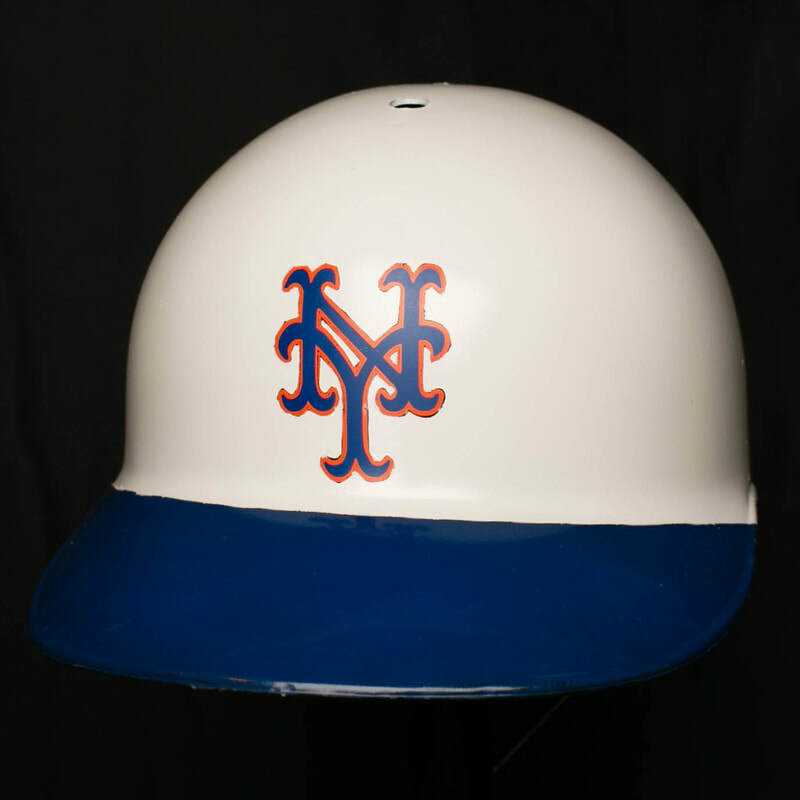 The Mets and last Orioles helmet were more recent additions that I made.